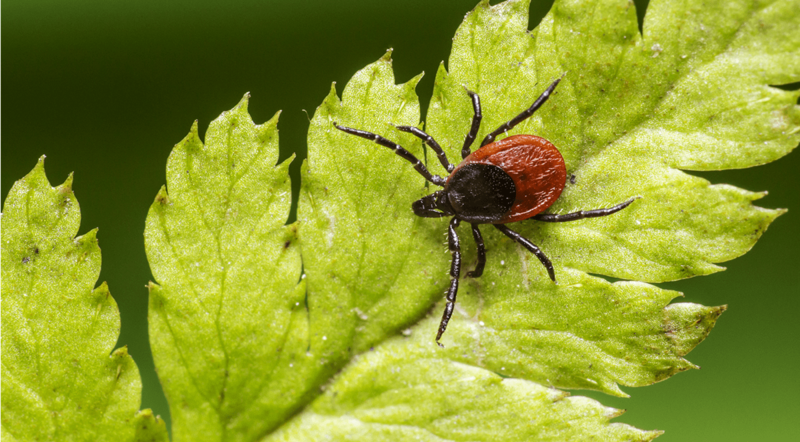 With just three minutes left before the midnight end of the 2015-2016 legislative session, Massachusetts lawmakers voted to require insurers to cover long-term antibiotic treatment of Lyme disease. The mandate became law with the stroke of Senate President Stan Rosenberg’s pen, over the objections of Gov. Charlie Baker, business groups and infectious disease specialists. But Lora Pellegrini, president and CEO of the Massachusetts Association of Health Plans, said new mandates negatively impact small businesses and individuals who must pay more for insurance coverage. “Over time, those mandates add up,” Pellegrini said. She noted that while smaller businesses must abide by state mandates, the 60 percent of businesses — mostly large companies — that are self-insured do not. Pellegrini said she worries about lawmakers passing the bill over the objections of doctors. “It does set a precedent that the Legislature’s just passed a mandate where there’s no scientific evidence that this will actually help patients, and the experts said it will hurt patients,” Pellegrini said. Lyme disease is a tick-borne illness that can cause fever, headaches and fatigue. Massachusetts has one of the highest rates of Lyme disease in the country. While most people with Lyme disease are cured with short-term antibiotics, some people report longer-term symptoms. The new law, which goes into effect immediately, requires insurers to cover long-term antibiotic treatment, when prescribed by a doctor. The mandate will cost the average person an additional 13 cents per month on their health insurance premiums, according to the independent Center for Health Information and Analysis. Insurers and business groups oppose the bill because it will raise the cost of insurance. More unique in this case was the effort by doctors to oppose the bill. Christina Hermos, a pediatric infectious disease doctor at UMass Memorial Children’s Medical Center, wrote to lawmakers, “Not only is the use of long-term antibiotics contrary to the best evidence about Lyme, but it also puts our patients and community at risk for the very real risks of unnecessary antibiotic use.” Hermos said only a small number of doctors prescribe long-term antibiotics to treat Lyme disease, and it can cause harmful complications, such as infections, allergic reactions or drug-resistance to other diseases. Baker vetoed the coverage mandate, which was included in the state budget. He sent a bill back to legislators that would have required MassHealth to hold a hearing on Lyme disease treatment, then publish a revised set of benefits available to Lyme disease patients. Private insurers would then have to provide the same level of coverage offered by MassHealth. “We should only be mandating coverage for evidence-based therapies that have proven to be clinically effective, whether we are considering the treatment of Lyme disease or any other medical disease or condition,” Baker wrote. On Sunday, the Legislature overrode Baker’s veto by a vote of 153-3 in the House and 37-1 in the Senate. According to a State House News Service transcript, the votes were taken without discussion.